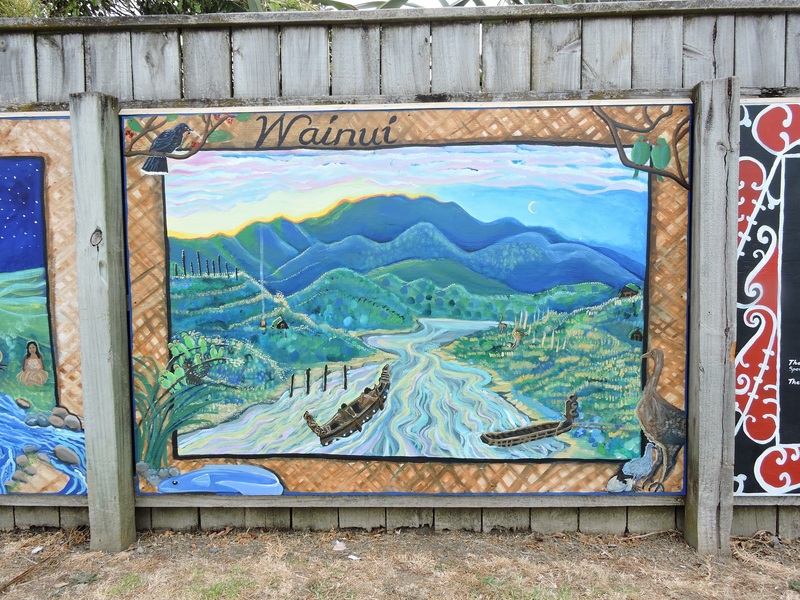 In January 2017 we received a grant from the Wellington Community Trust for the creation of a mural to be a feature wall of the Arts Walk. 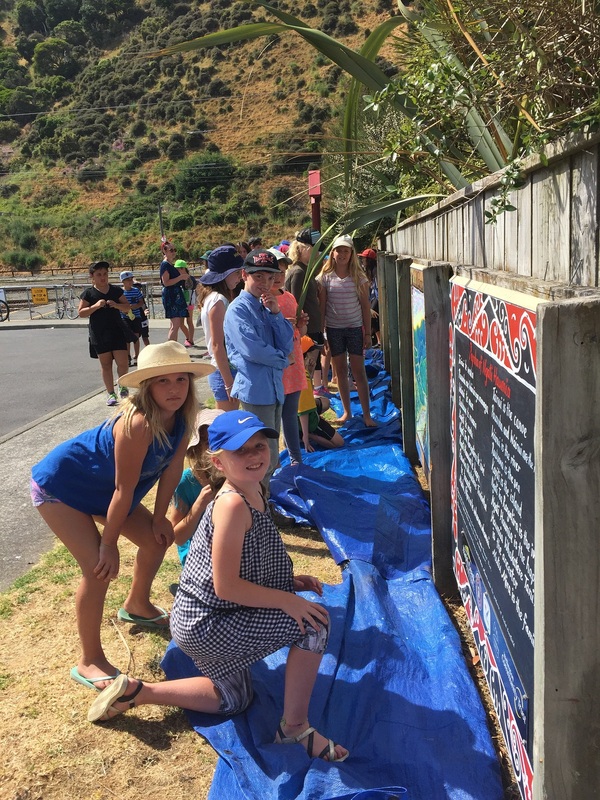 The mural was completed by the Paekakariki School children under the guidance of local artist Rachel Benefield. 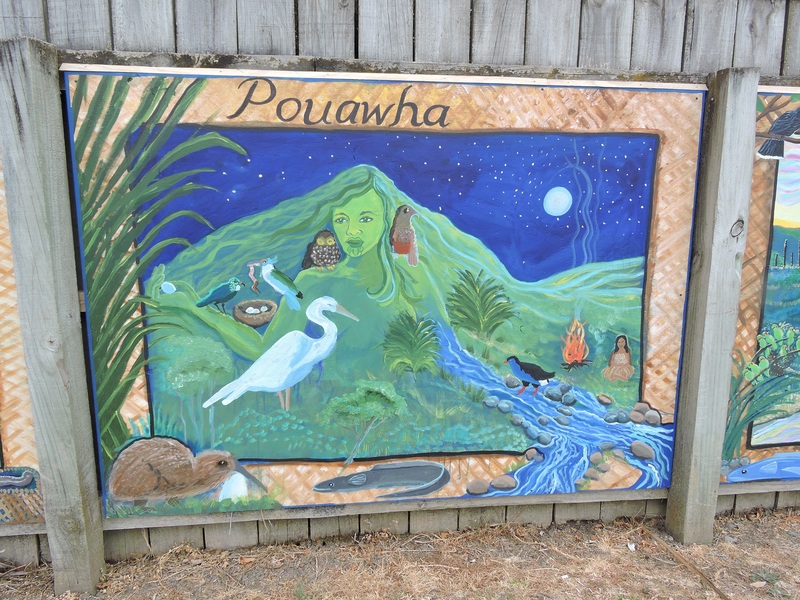 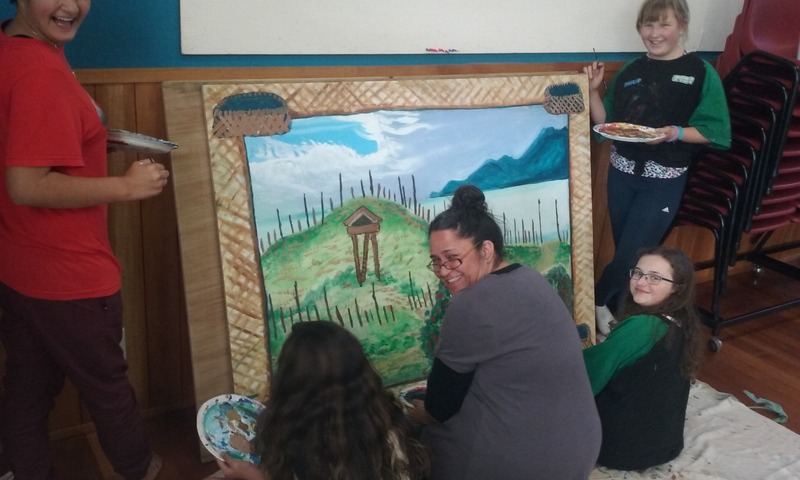 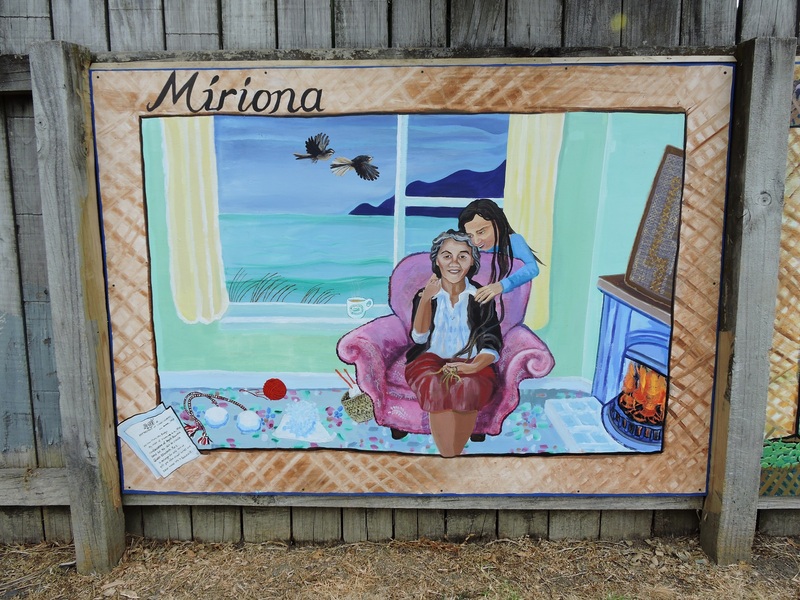 It was decided that the mural would portray things of significance to local iwi. 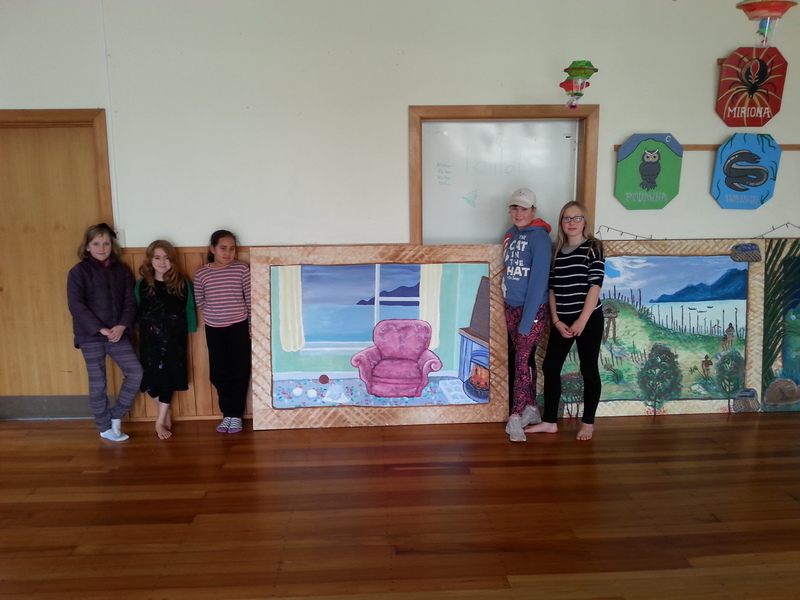 This resulted in the children doing research on the selected names, including a visit to our Museum, then developing their ideas. 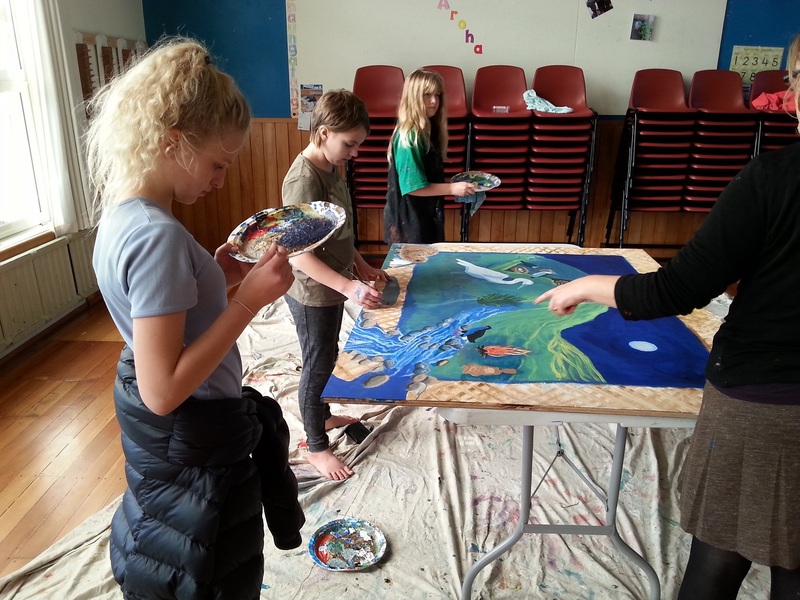 .Work commenced on the 1st stage of the mural in April and carried on through to September with the children building on their ideas and creating the art works. 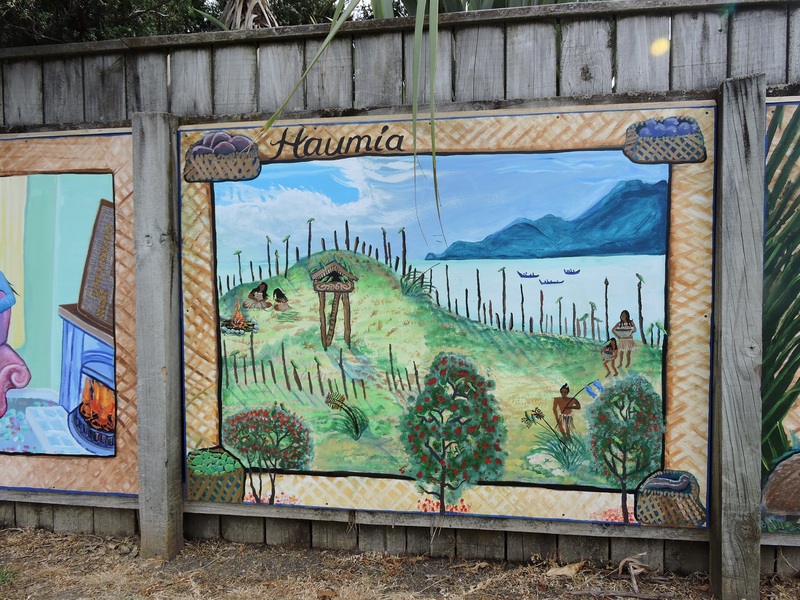 The mural was opened in December 2017 with a ceremony held at the Station Car Park followed by morning tea at the School Hall. 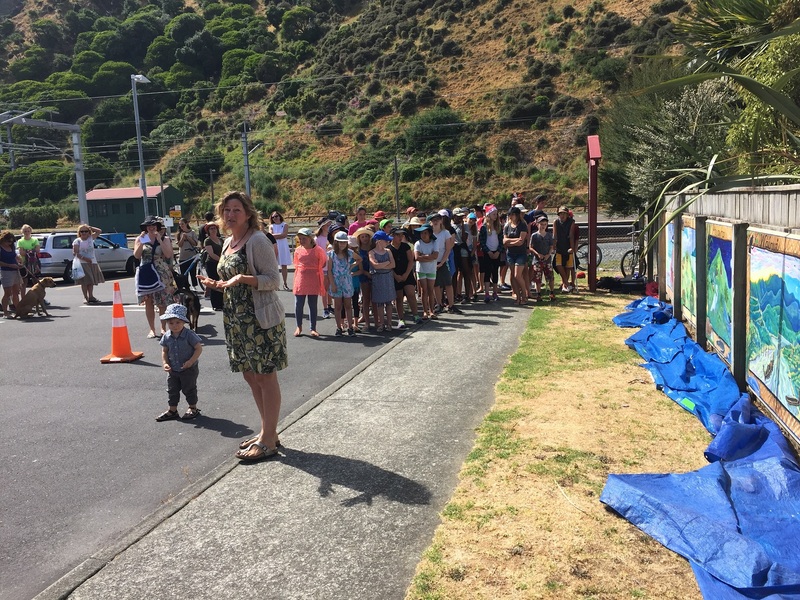 Members of the school Kapa Haka Group were in attendance along with the Paekakariki Community at large. 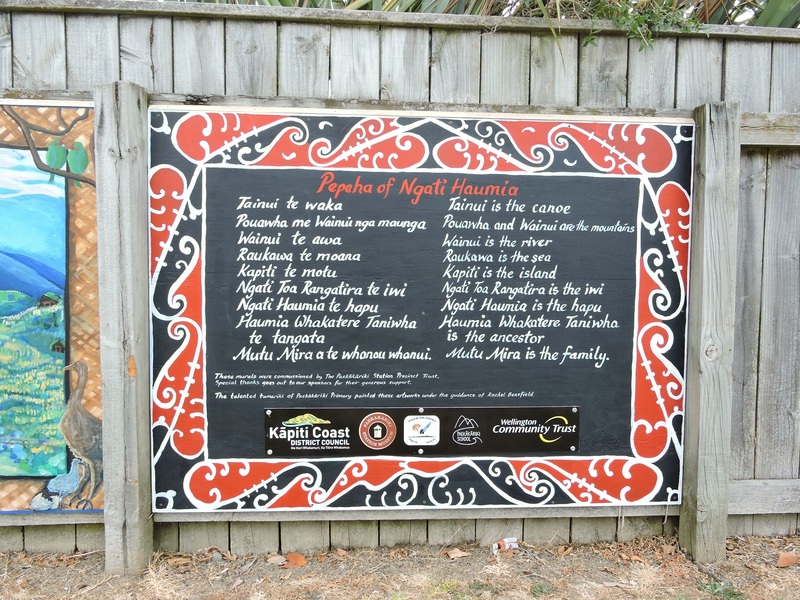 Our Patron Sir Jon Trimmer and 2 whanau from local iwi Ngati Haumia unveiled the mural.